Carlos Vela will play for Mexico at the CONCACAF Gold Cup this summer, his club, Real Sociedad, announced on Friday and was later confirmed by Mexico's federation. The 26-year-old Vela, one of a handful of Europe-based Mexican standouts who did not get called in for Mexico's Copa America roster, has scored nine goals in all competitions for Real Sociedad this season, one in which he missed more than two months with a knee injury. In 2013-14, Vela scored 21 goals in all competitions. He returned from a three-year hiatus from the Mexican national team for a pair of November 2014 friendlies, scoring two goals against the Netherlands in his first game back, but he hasn't played for El Tri since. Vela, who was part of Mexico's 2009 Gold Cup-winning team, figures to be joined by the likes of Javier "Chicharito" Hernandez, Giovani and Jonathan dos Santos, Hector Herrera, Miguel Layun, Guillermo Ochoa, Diego Reyes, Hector Moreno and Andres Guardado–all of whom were left off Miguel Herrera's Copa America roster with a potential Confederations Cup berth on the line for the Gold Cup winner. All, in addition to Jesus "Tecatito" Corona, are included on Mexico's provisional roster, which was released Friday. Mexico will play against Cuba, Guatemala and Trinidad & Tobago in Group C, with games being played at Soldier Field in Chicago; University of Phoenix Stadium in Glendale, Arizona; and Bank of America Stadium in Charlotte, N.C., on July 9, 12 and 15, respectively. Should Mexico win the Gold Cup for a record seventh time, it would face the United States–the 2013 Gold Cup winner–in a playoff for the region's berth at the 2017 FIFA Confederations Cup in Russia. Cuauhtemoc Blanco received a farewell from Club America, playing against Morelia in a Liga MX match–and performing his trademark "Cuauhteminha"–on March 5, 2016. 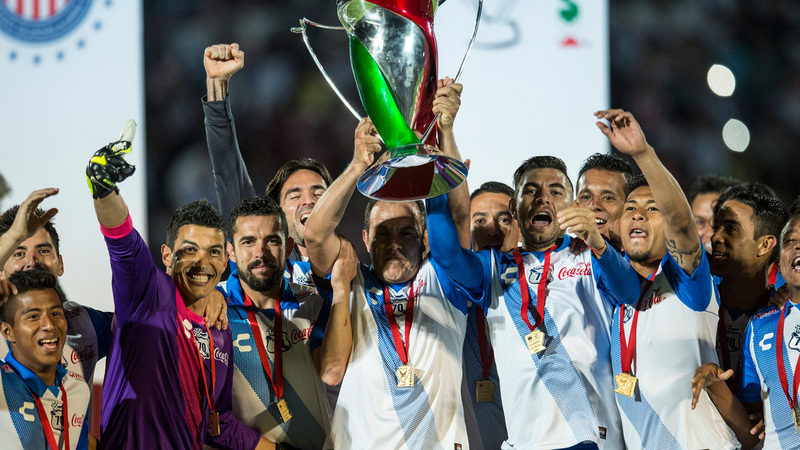 Cuauhtemoc Blanco lifts the Copa MX trophy with Puebla in his final match as a professional. 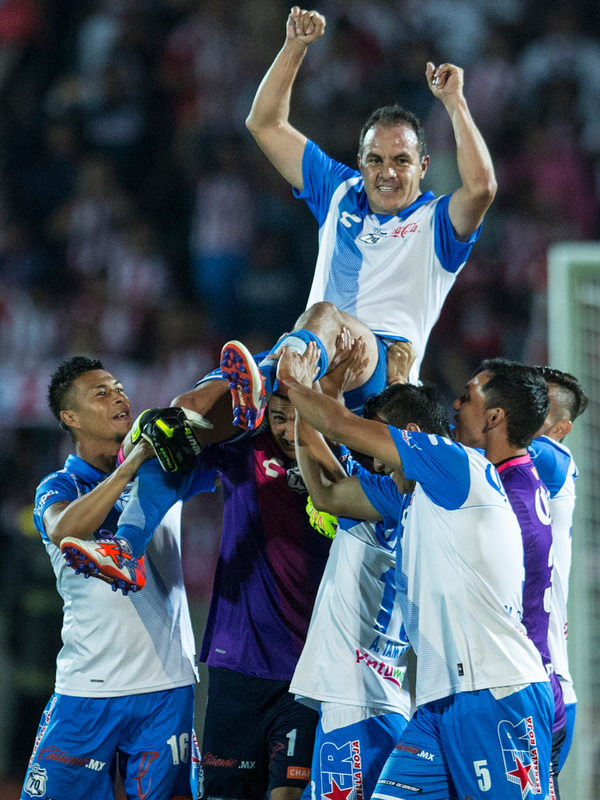 Blanco is given a hero's farewell after the Copa MX final between Puebla and Chivas. 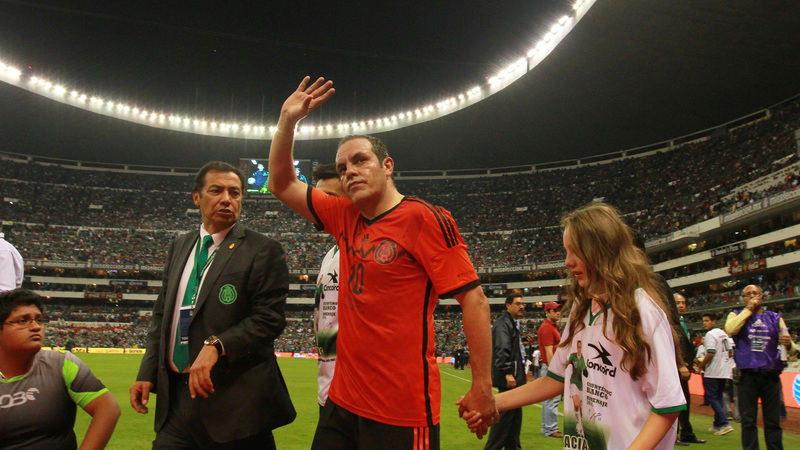 Blanco plays his final match for Mexico at Estadio Azteca in a friendly against Israel on May 28, 2014. Blanco and Javier "Chicharito" Hernandez have some fun during training at the 2010 World Cup in South Africa. Blanco celebrates his penalty kick against France in a 2-0 group-stage win at the 2010 FIFA World Cup in South Africa. Blanco dribbles against host South Africa in the opening match of the 2010 FIFA World Cup. 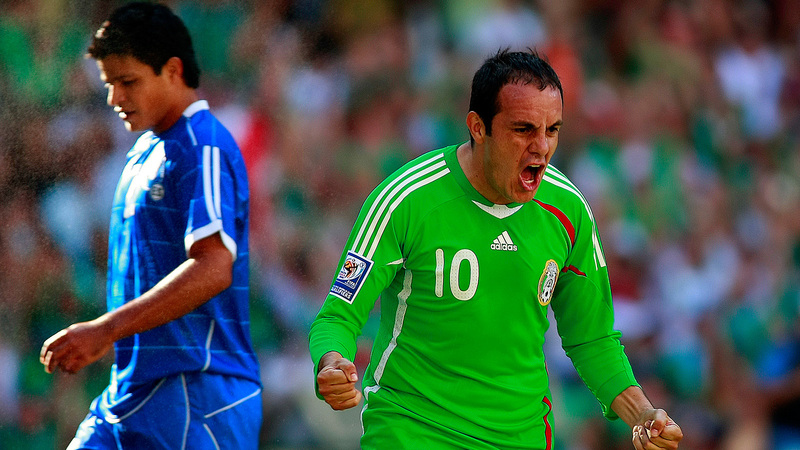 Blanco celebrates a valuable goal in 2010 World Cup qualifying at Estadio Azteca against El Salvador. 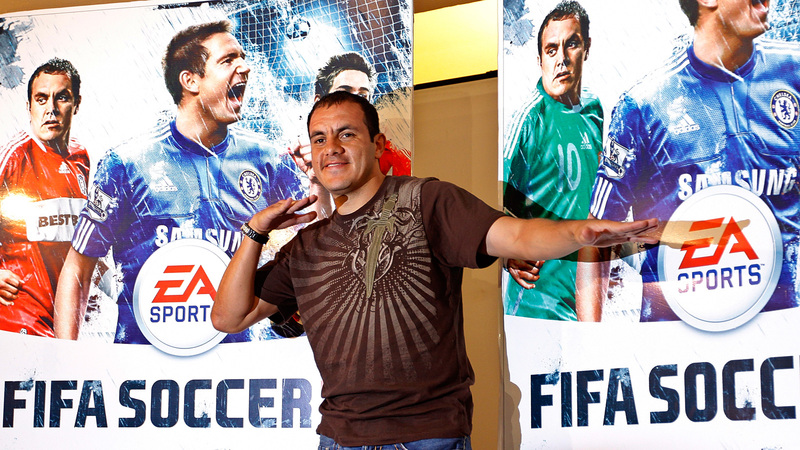 Blanco poses as part of EA Sports's FIFA 2010 cover release for the popular video game in North America. Blanco is hoisted after a World Cup qualifying match against Canada in 2008. 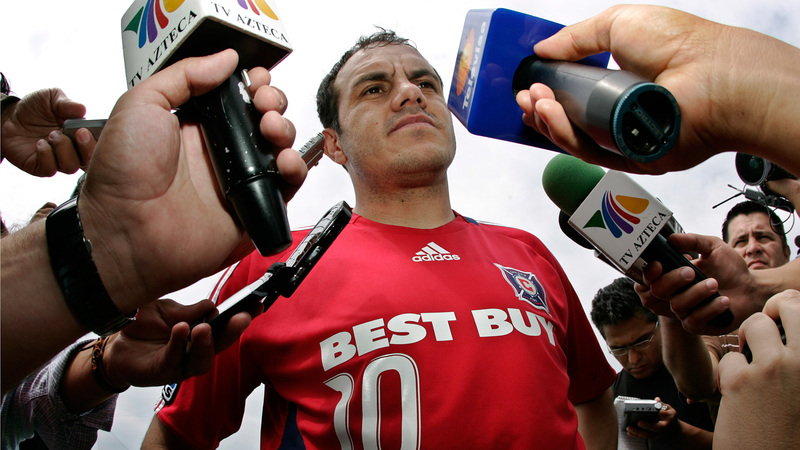 Blanco commanded plenty of media attention during his time in MLS with the Chicago Fire. 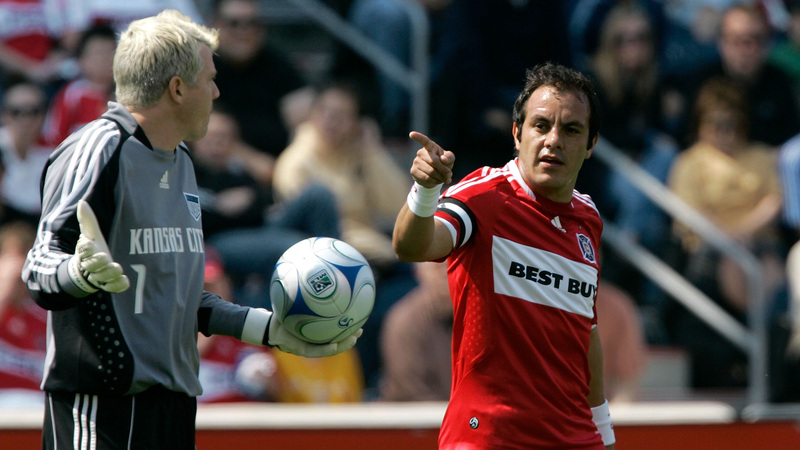 Never shy to express himself, Blanco gestures to a referee during the 2009 MLS Eastern Conference championship. Blanco reacts after a goal in the 2009 Eastern Conference semifinals against the New England Revolution. Blanco tries his signature Cuauhtemiña in a 2008 match against the Columbus Crew, putting the ball between his legs and carrying it while jumping between a pair of defenders. Blanco gets into it with Kansas City goalkeeper Kevin Hartman during a 2008 MLS match. 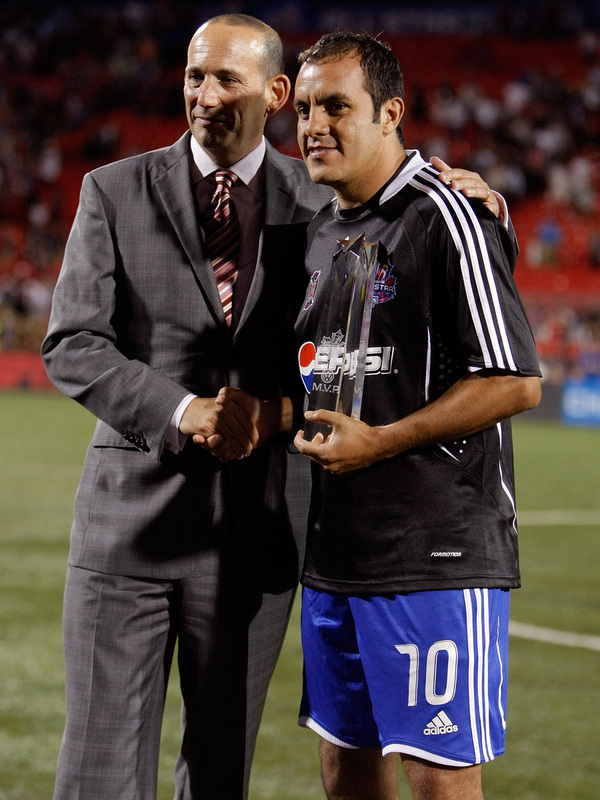 Blanco is presented 2008 MLS All-Star Game MVP honors by commissioner Don Garber after an MLS win over West Ham in Toronto. Blanco and David Beckham congratulate their teammates during the 2008 MLS All-Star Game against West Ham. 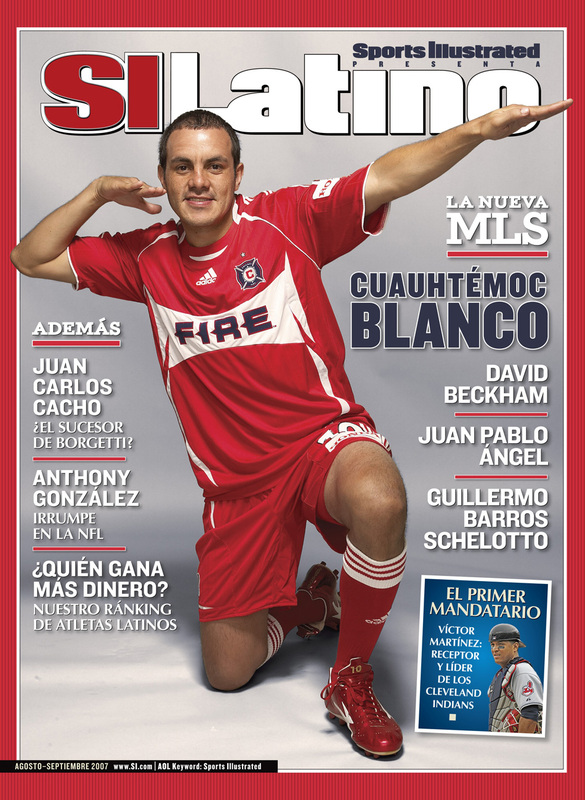 Blanco's arrival in MLS with the Chicago Fire made for some front-cover headlines. Blanco celebrates one of his 125 goals with Club America at a match at Azteca against Necaxa in 2006. 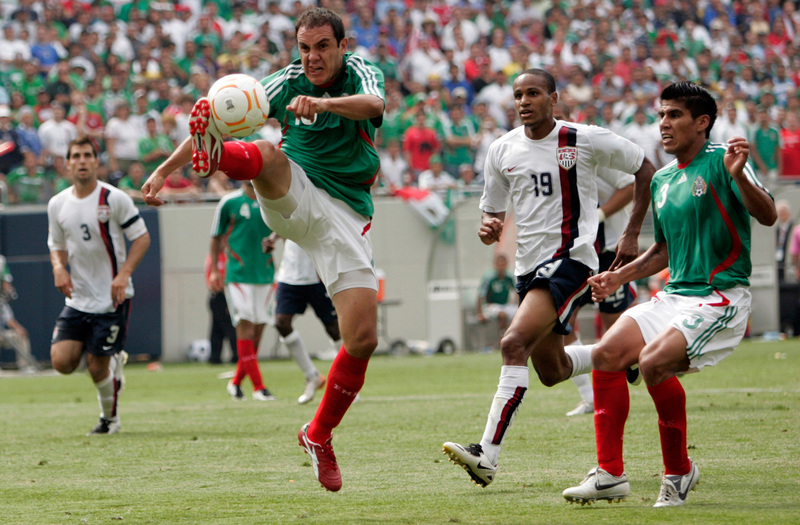 Blanco extends for the ball at the 2007 CONCACAF Gold Cup final against the USA, which the Americans won 2-1 in Chicago. 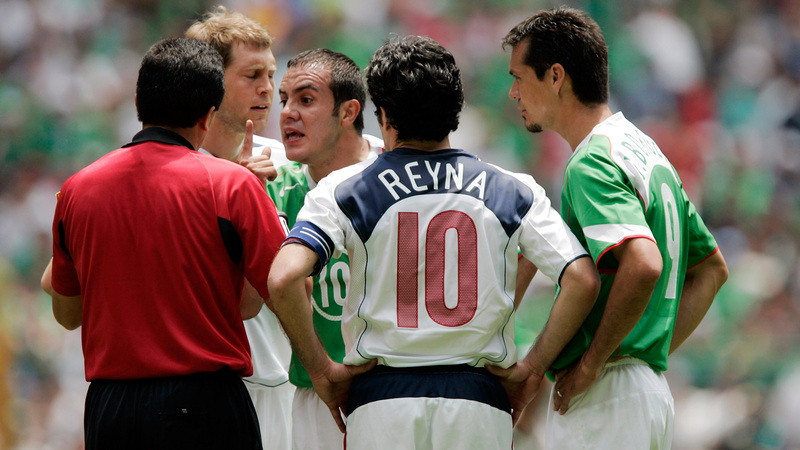 Blanco argues with the referee in a 2006 World Cup qualifying match against the USA, which Mexico wound up winning 2-1. 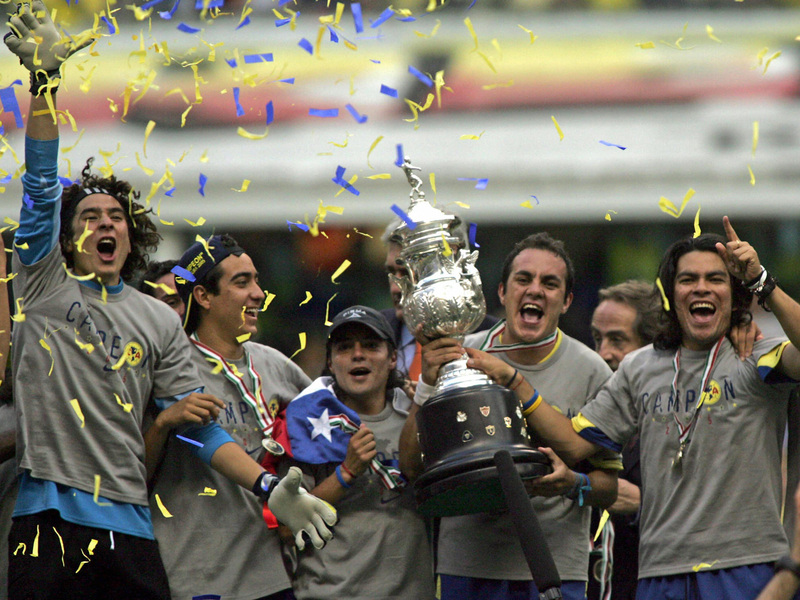 Blanco lifts the trophy after America wins the 2005 Mexican Clausura championship. 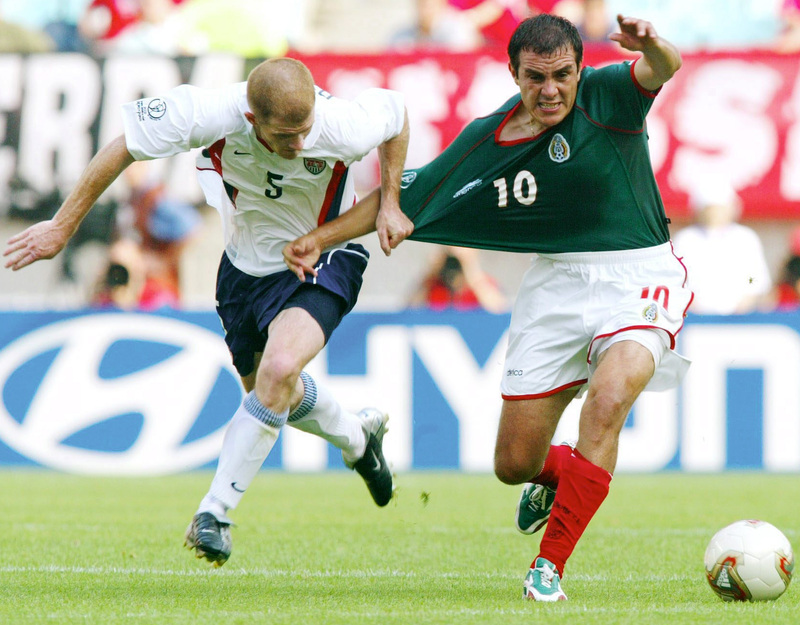 Blanco and John O'Brien tussle for the ball in the 2002 World Cup round of 16, a match the Americans won 2-0. 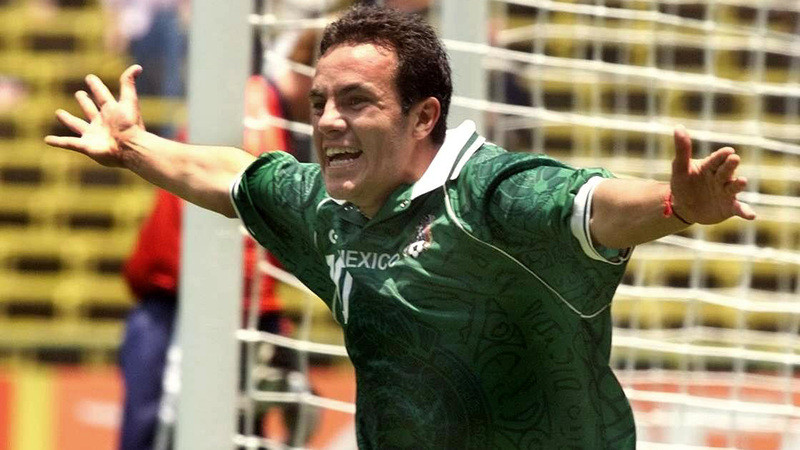 Blanco celebrates his golden goal against the USA in the 1999 FIFA Confederations Cup semifinals on his home soil. Blanco and Luis Hernandez train in Bolivia during the 1997 Copa America. 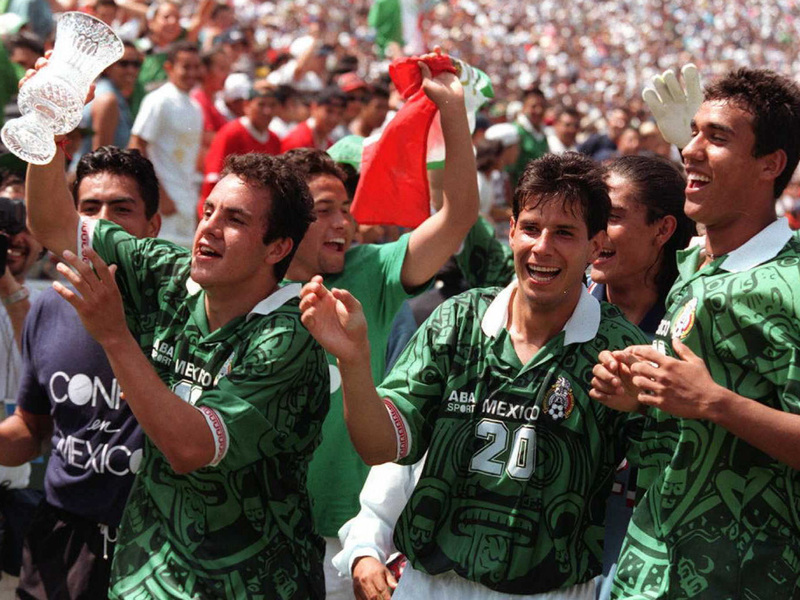 Blanco lifts the 1996 U.S. Cup at the Rose Bowl after his goal helped Mexico secure a 2-2 draw against the USA in the final, which was good enough to claim the title.